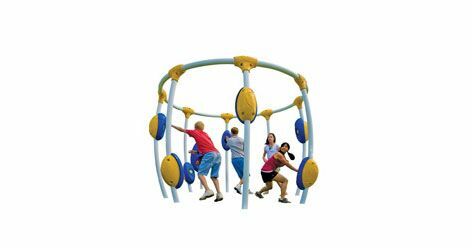 As the premier outdoor playgrounds manufacturer in the industry today, Playworld is committed to providing high quality inclusive commercial outdoor play equipment to schools, municipalities, organizations, and businesses. Simply put, we believe the world needs play. 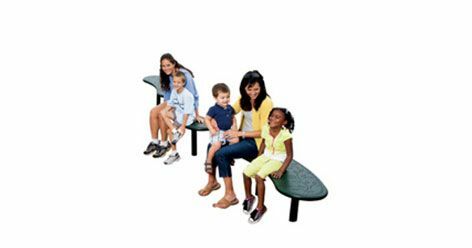 Explore our commercial outdoor play equipment options, discover the differences that set us apart from other manufacturers and let us help you design a playground that will meet your entire community’s needs. 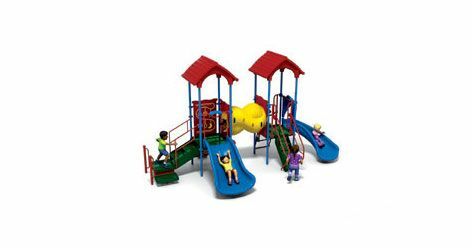 Playworld designs and builds our outdoor play equipment with the diverse needs of each and every user firmly in mind. We believe people of all ages and abilities can benefit from spending time outdoors, and our outdoor play structures reflect that philosophy. Each structure we create challenges the user to develop physically and emotionally while also encouraging both cooperative and co-located play. Our outdoor play equipment is not only ADA-compliant, but our designs also make it easier for people with disabilities to navigate around the playground itself. Our family-owned and operated business constantly adapts to the needs of the communities we serve. 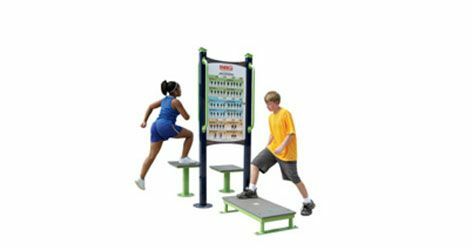 Included among our playground systems is an Outdoor Electronic Playground, which blends the excitement of video games with fun aerobic outdoor exercise. 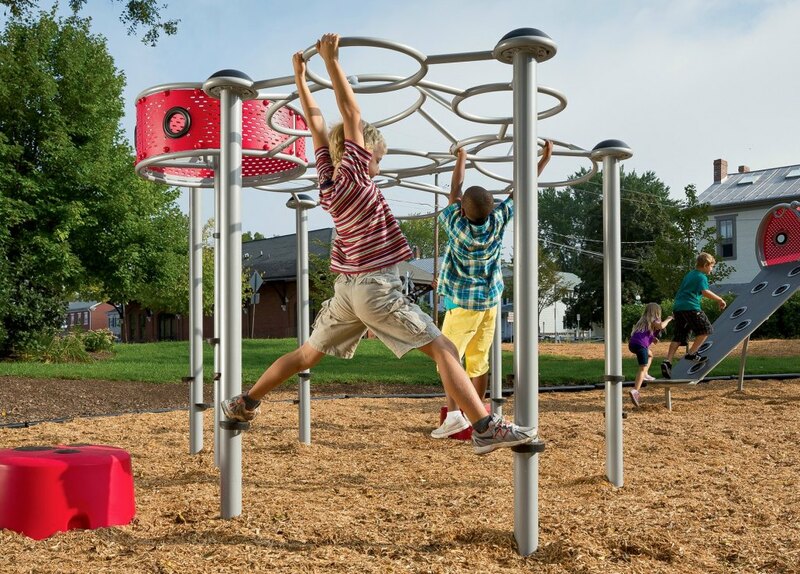 We make rugged play systems perfect for high-use, budget-constrained communities as well as fitness equipment for people of all ages and abilities. Because we believe your children’s outdoor play equipment should blend seamlessly into your surrounding environment, we create playgrounds with real and lifelike nature experiences. Finally, we strongly believe that the legacy of play shouldn’t damage the environment or future generations. That is why 99.999% of our structures are PVC-free and why Cradle to Cradle awarded us with a Silver Certification for environmental safety — the only outdoor playground slides and equipment manufacturer to have earned it. When you partner with Playworld, you’re making a commitment to your community that will last year after year. We will help you design an ideal playground that will suit the needs of your community’s children as well as your budget. 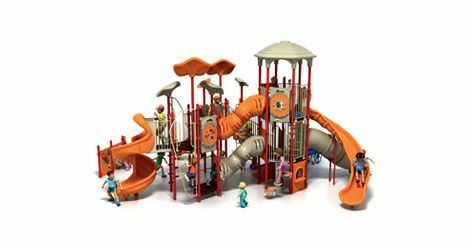 Playworld takes the business of play seriously — and that seriousness of purpose is reflected in the legacy left by the superb craftsmanship, quality materials, and sound environmental stewardship. Contact us and find out how we can help you build your community, starting today.